Increase your revenue by removing tobacco & cannabis smoke odours. For powerful dry fogging. Produces extremely fine particle size that mimics the behavior of smoke, delivering odor control deep into cracks, crevices and cavities. Can also be easily modified for use as a wet fogger. 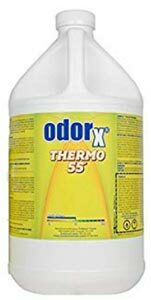 For use with ODORx Thermo-55 solvent-based formulations. A versatile odour control application tool. The Electro-Gen produces “DRY FOG” on the order of smoke itself rather than the damage causing wet particles produced by conventional mister and foggers. 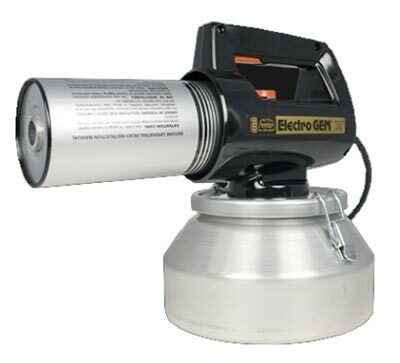 Remove the barrel and the Electro- Gen also can be used as an electric sprayer to apply solvent or water based chemicals for deodorizing, flame proofing, pest control, fabric protecting, etc. 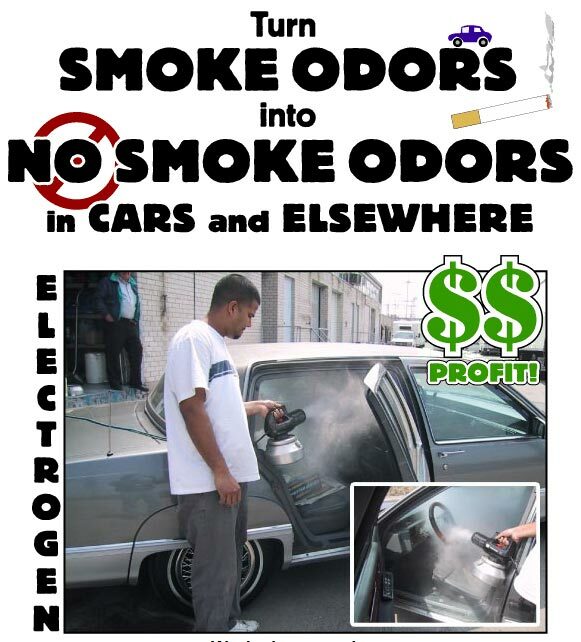 How to increase your revenue by removing tobacco and cannabis smoke odours in homes, offices, hotels, motels, motor vehicles and more! The Electro-Gen converts one ounce of Thermo-55 into a 2,000 cubic foot deodorizing cloud – IN JUST 30 SECONDS! Specially insulated barrel produces smallest particle size. Comes with an instruction and maintenance manual. Insist on the Original Electro-Gen is the industry’s most durable electric thermal fogger. The Electro-Gen is a pure profit machine! Works in seconds…then just leave the car for an hour or so and it’s done! 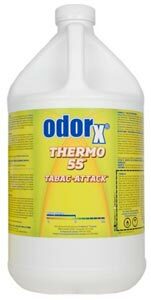 Be sure to check out the OdorX Tabac Attack product and 3 step process to remove cigarette tobacco odours and cannabis smoke smell removal.